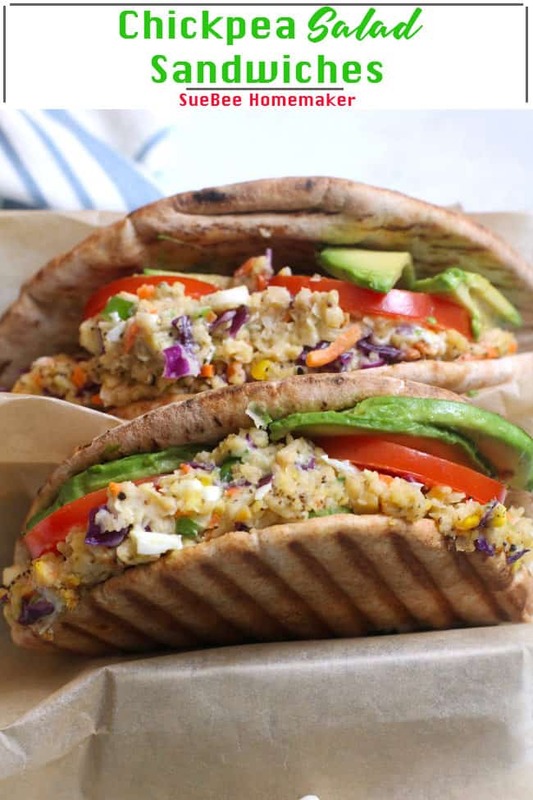 Chickpea Salad Sandwiches might just be your go-to sandwich for lean eating this year. At just under 300 calories, this flavor combo is not only tasty, but it’s full of protein and fiber. So interesting, so good! My love of chickpeas (aka garbanzo beans) continues, and when I was searching for something to make recently, and didn’t have any tuna on hand, I did some experimenting with chickpeas. I pulled out all the veggies I had in my refrigerator, and went to work. So now, let’s talk chickpeas. 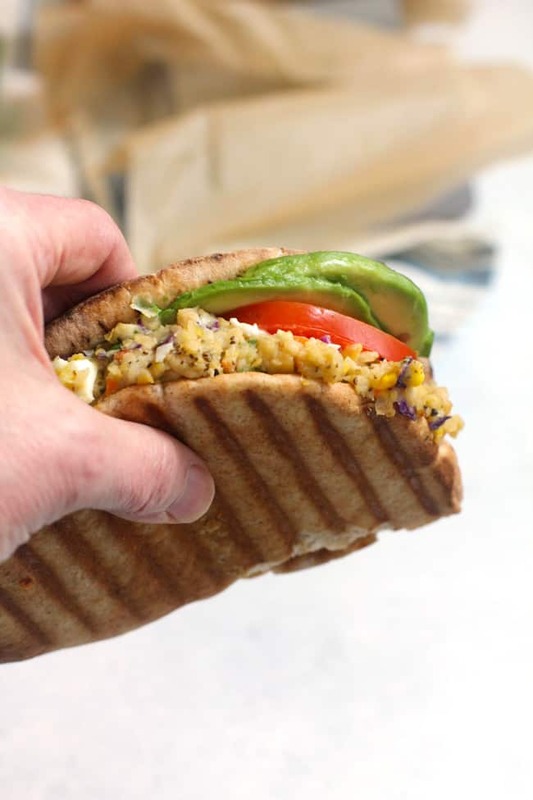 Here’s what you do with this amazing little legume. Then mix them with the remaining ingredients pictured below. Let’s go shopping! Here’s what you should have on your list. – you can find this at Trader Joe’s but we don’t have one close by, so I order it. When it comes to stocking my pantry, chickpeas are plentiful. I use them in so many recipes now, not only because they pack a punch of protein and fiber, but they add SO. MUCH. FLAVOR. 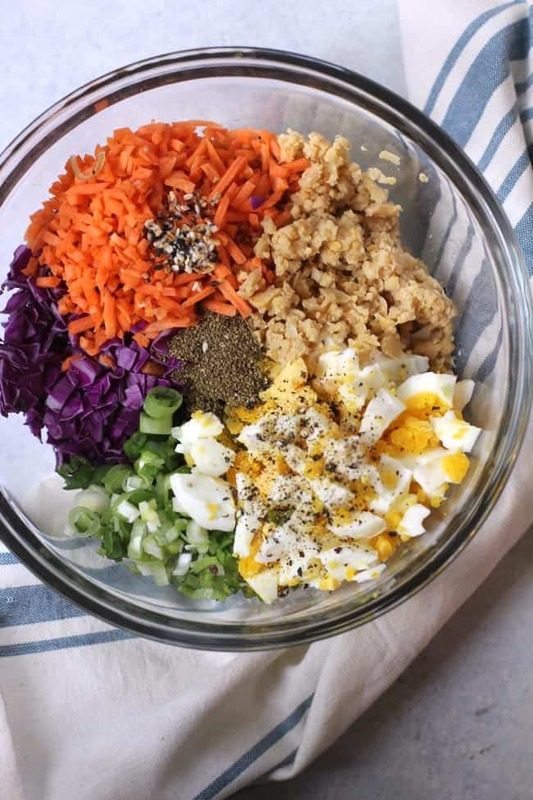 Here are a few salad recipes that include chickpeas! 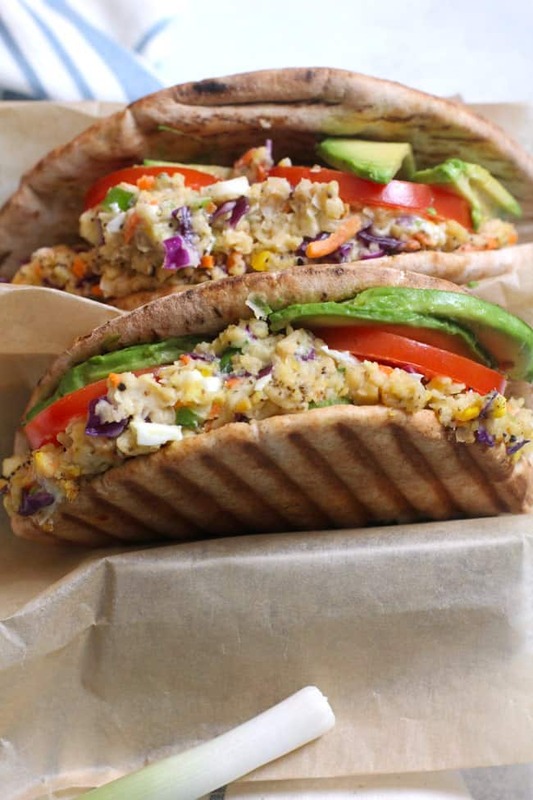 Chickpea Salad Sandwiches might just be your go-to sandwich for lean eating this year. At just under 300 calories, this flavor combo is not only tasty, but it's full of protein and fiber. So interesting, so good! 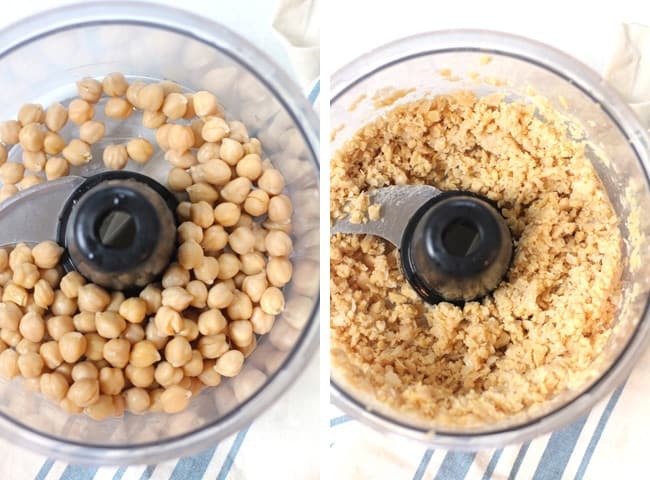 In a food processor, pulse chickpeas about 6-7 times until slightly processed. Don't blend until smooth. You want some chunks. In a mixing bowl, combine processed chickpeas with remaining ingredients. Stir until well combined. Test for seasonings, and adjust if needed. 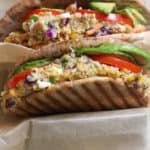 Spoon chickpea salad into pita bread. Add avocado and tomato slices, if desired, and lightly toast. 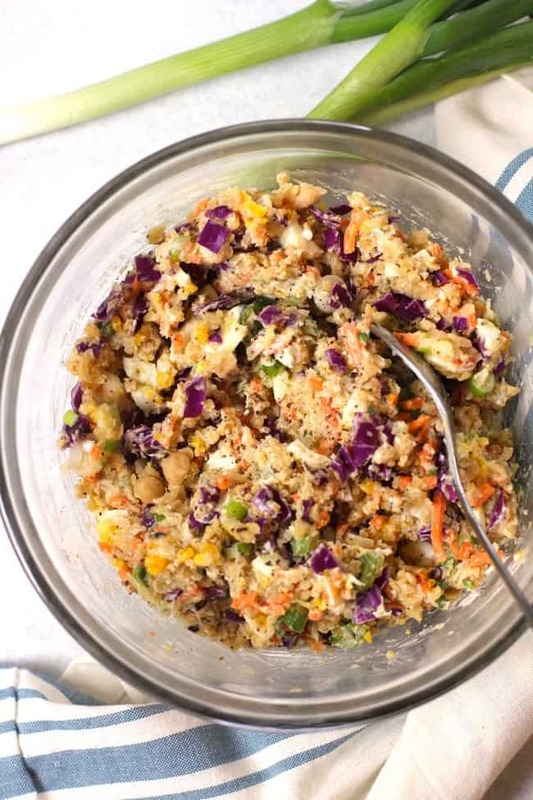 Chickpea Salad is best eaten the first day, but leftovers are good for an additional day.